Defoe, ridden by Andrea Atzeni, storms to victory at Newbury on Saturday to set up a tilt at the William Hill St Leger at Doncaster next month. It seems only five minutes since we were baking and sweating in the blazing heat of Royal Ascot. Yet here we are, deep into August, dodging the daily rain showers and moving headlong into the part of the season when Yorkshire takes centre stage. It’s a testament to the perfect narrative of the Flat campaign that the weeks have passed so quickly. Now punters could do with a spell of decent weather for York’s Ebor Festival and Doncaster’s St Leger meeting to yield some reliable ground and credible results. The Leger, to be sponsored by William Hill this year, on Saturday, September 16 is shaping up into a cracker, particularly after Roger Varian’s rapidly-improving DEFOE continued his unbeaten run in the Betfred Geoffrey Freer Stakes at Newbury at the weekend. Not many colts progress from handicaps to win a Classic, but he will be a major player if there is give in the ground on Town Moor. Intriguingly, jockey Andrea Atzeni reckons the grey son of Dalakhani is better than Kingston Hill, whom he steered to Leger glory in 2014. Dangers abound, however. Sir Michael Stoute’s CRYSTAL OCEAN has come to the boil at just the right time, while John Gosden has a seriously strong hand in the shape of Goodwood Cup winner STRADIVARIUS and his Royal Ascot-winning filly, CORONET, for whom the 14f trip and the long, galloping Donny straight are tailor-made. And then, of course, the all-conquering Aidan O’Brien has yet to play his Leger cards. Irish Derby hero CAPRI is the shortest of his contenders in the current market, but I wouldn’t be drawing a line just yet on the likes of VENICE BEACH, who looks another likely to relish the demands of the race. Venice Beach is one of three O’Brien has declared for the next Leger trial, the Betway Great Voltigeur Stakes, which is one of the highlights of the opening day at York this week. A race in which it would be no surprise to see Roger Charlton’s ATTY PERSSE bounce back to his best form. The big attraction of the day, though, is the Group One Juddmonte International, which is now established as the highest rated race to be run in Britain. A mouthwatering renewal pitches Richard Hannon’s BARNEY ROY into fascinating re-matches with the colts who just pipped him in both the Qipco 2,000 Guineas and the Coral-Eclipse, namely CHURCHILL and ULYSSES. Can Churchill rediscover his best, stepped up in trip, after his Royal Ascot flop? Or maybe another Ballydoyle challenger, CLIFFS OF MOHER, can remind us of what a good horse he looked in the Investec Derby before disappointing in the Eclipse. A spanner has even been thrown into the works in the shape of John Gosden’s crack filly, SHUTTER SPEED, who is way better than she showed in the French Oaks last time and represents the formline of the mighty ENABLE, conqueror of the colts in the King George at Ascot. Personally, I believe Ulysses, runner-up to Enable that day, will be hard to beat, but it looks a race to savour, whatever the outcome. The Juddmonte is worth a whopping £1 million and lights the blue touchpaper for an explosive four-day festival that boasts record prize money of more than £4.4 million. Not one of the 25 races is worth less than £70,000 and if the weather holds up and the often notoriously unpredictable ground on the Knavesmire rides true, I am sure we are in for a treat. Quality oozes from the race schedule of each day. Not just in the famous Group One contests, such as the Coolmore Nunthorpe Stakes and the Darley Yorkshire Oaks, but also in the other Pattern heats, the cluster of 2yo contests and the richly competitive handicaps. York is the only meeting outside the Royal extravaganza that can successfully get away with cards of only six races, rather than seven or more. Enable herself is braced to tackle the Yorkshire Oaks on Thursday ahead of her tilt at the Prix de l’Arc de Triomphe. She will find Roger Varian’s NEZWAAH a tough older nut to crack. And then the Nunthorpe on Friday throws up a head-to-head of raw 3yo speed as American handler Wesley Ward’s dual Royal Ascot winner LADY AURELIA lines up against the new kid on the sprinting block, BATTAASH, trained by Charlie Hills. 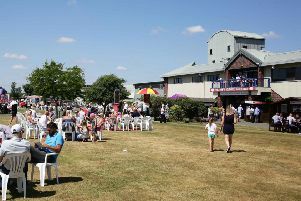 The action reaches its crescendo, of course, on Saturday with the race the whole shindig is named after, the Betfred Ebor, the richest handicap on the Flat in Europe. The Ebor’s character is much changed these days, given that improving 3yos rarely get the chance to advertise their wares, and, as a result, it has become fiendishly difficult for punters to solve. In the last ten years, it has produced winners at 20/1, 25/1 (twice), 33/1 and even 100/1, and looking at this year’s probable field, another big price would not surprise. I wonder if James Fanshawe’s STAR STORM might fit the bill. On the juvenile front, I am eagerly looking forward to seeing Mark Johnston’s brilliant Goodwood winner THREADING take a step-up in class in the Sky Bet Lowther Stakes on Thursday and hope that TO WAFIJ will appreciate the extra furlong in the Al Basti Equiworld Gimcrack Stakes on Saturday. Richard Fahey’s GREAT PROSPECTOR must surely have a golden chance too in the big Sales race on Thursday. William Haggas likes nothing better than a winner at York, so don’t miss DAL HARRAILD in the 2m Weatherbys Hamilton Lonsdale Cup on Friday, and of the plethora of improving handicappers likely to be on show, this shortlist of three is worthy at least of close inspection -- EDWARD LEWIS (Wednesday), EL HAYEM (Thursday) and KHAIRAAT (Saturday).